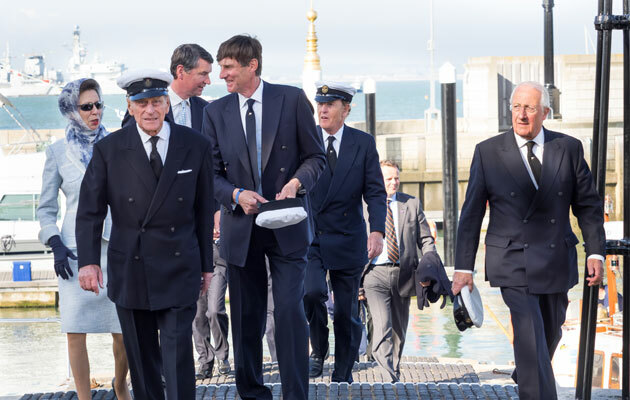 His Royal Highness the Duke of Edinburgh was joined by other members of the British Royal Family and European Royal families on Friday 5 June to conduct a review of 180 yachts belonging to members of the Royal Yacht Squadron off Cowes. The event was held to commemorate the bicentenary of the historic club which was inaugurated on 1 June 1815 at the club’s first meeting in St James’s, London. 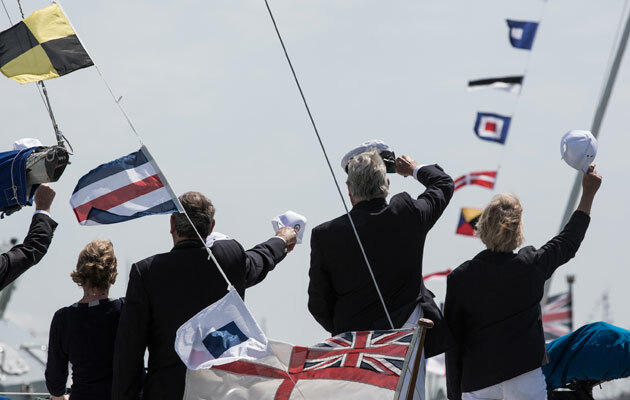 More than 180 private sailing and motor boats belonging to Royal Yacht Squadron members provided a real spectacle as crowds gathered to witness the event. 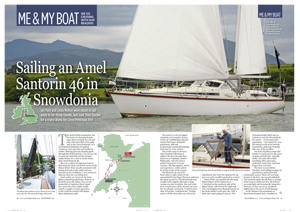 Also present were the 75m motor yacht Leander and recently restored 1938 built Shemara. Royal Navy Type 23 frigate HMS Northumberland and Galitea were also in attendance. The Duke of Edinburgh was joined during the day by HRH The Princess Royal, the Earl and Countess of Wessex and HRH Prince Michael of Kent. 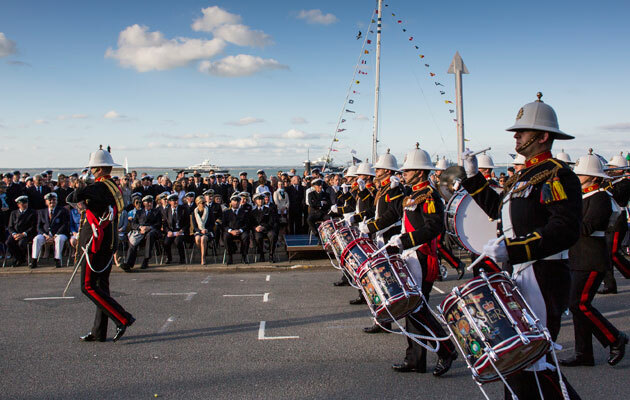 The Fleet Review was part of a varied programme of celebrations by the Royal Yacht Squadron both on and off the water taking place during 2015. 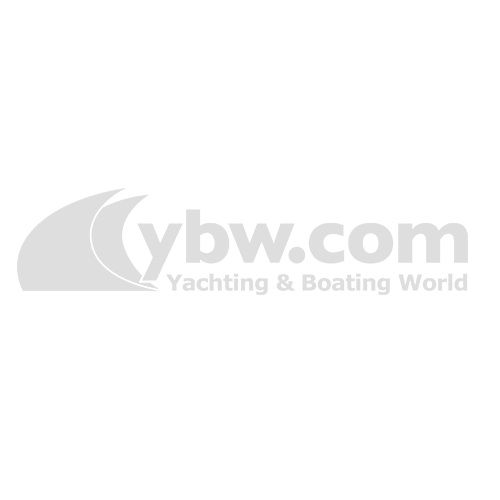 Other Royal visitors included HM King Harald of Norway, HSH Prince Albert of Monaco, TM King Constantine II of Greece and Queen Anne-Marie, HM King Juan Carlos of Spain and HRH Prince Henrik of Denmark, as well as the Aga Khan. 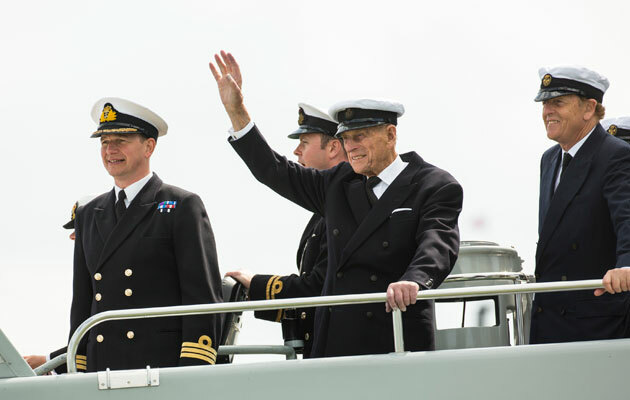 Spectators both ashore and afloat enjoyed glimpses of the Royal guests as The Duke and Prince Michael of Kent proceeded between the rows of moored members’ yachts in a pair of naval P2000 vessels, to salute each in turn. 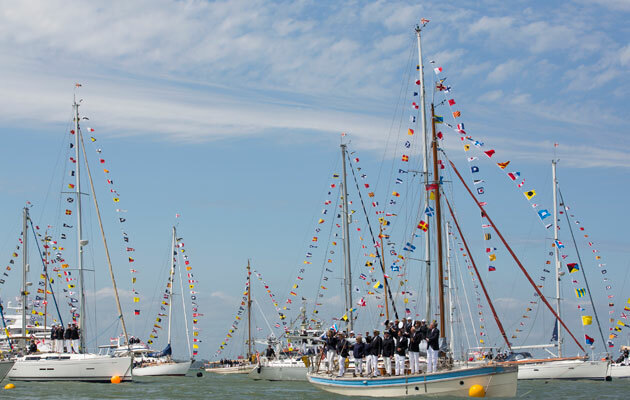 Later in the day the royal party came ashore and attended a church service conducted by the Bishop of Portsmouth at Trinity Church tucked just behind the Royal Yacht Squadron. 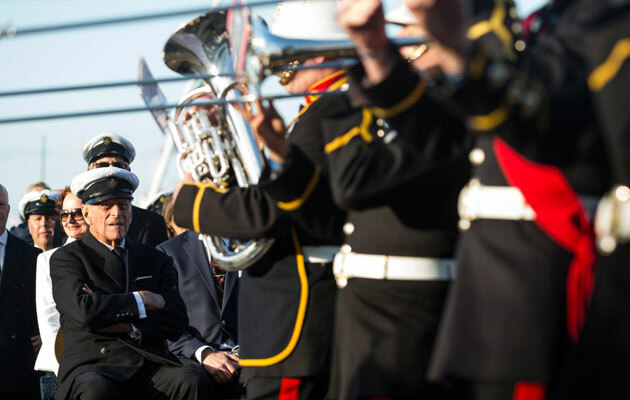 The highlight of the day was the Beating Retreat conducted by the Band of Her Majesty’s Royal Marines Collingwood on the parade at Cowes. The Royal Party were seated in the evening sunshine on the parade as the salute was taken by the Duke of Edinburgh, with the group rounding off the day by returning to the castle for a private dinner.